This week, Jamie and I are using plate Lilic's A01 from the Lilic's image plate collection. 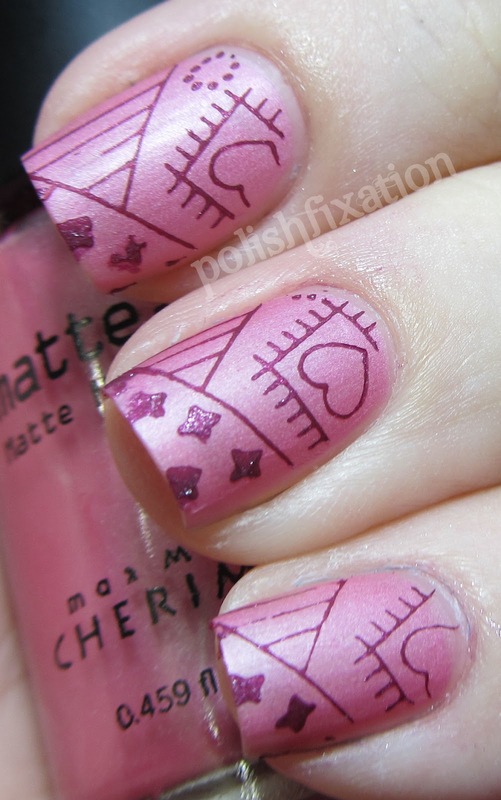 I used 2 Cherimoya polishes for this mani, both from the Matte-n-a collection. The base color is Fairytale and the stamping is done in Suspense. The first picture shows how it looked before top coat. I couldn't decide if it would look better matte or shiny, so I added top coat. I liked it better matte, but I left it shiny so that it would last longer without chipping. I was moderately happy with this outcome, though the plate didn't stamp as well as I had hoped it would. Maybe it was just my own mistake but I think maybe the plate wasn't etched very well for the image I was using. Super cute!! 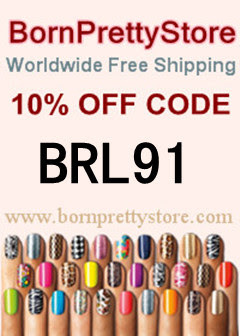 The full nail images on the plates look kinda small, even though it covered your nail, Can you do a comparison photo with a Konad or Bundle Monster plate? I am so in love with this mani! I keep coming back and looking at it!!! The design is so cute! 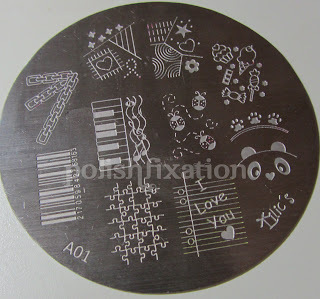 I remember when I bought my first stamping kit when it first came out. The designs are sooo corny! And there isn't much to choose from. My plate included some flowers, a shoe and some weird abstract. 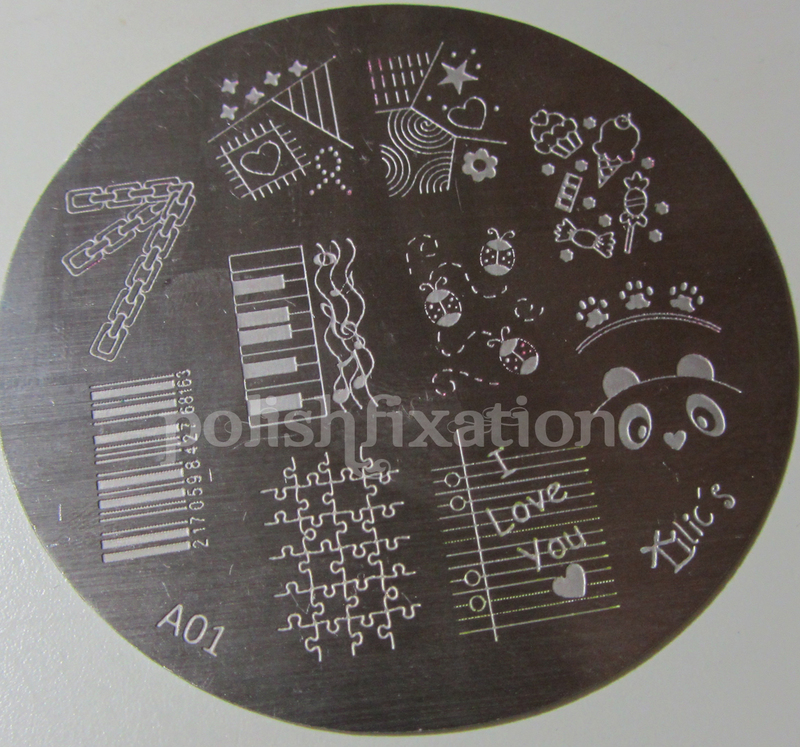 This is nice stamping and I love the imageplate.